We have some big news. 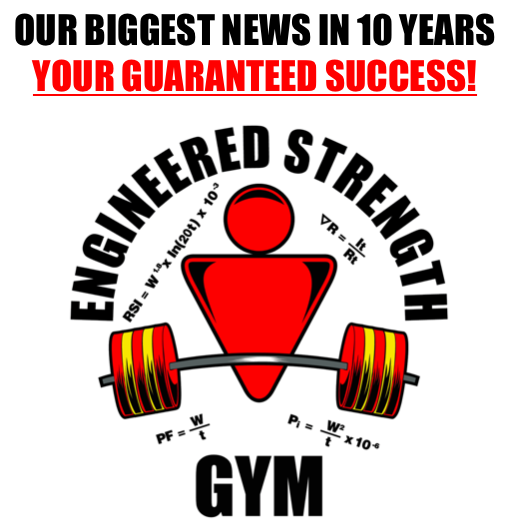 News I think is a game changer in strength training. Late last year we started working with some trainees to measure the results of their workouts. In the course of doing that it became apparent that most people just don’t optimize their workouts and consequently they get less than ideal results from their training. For the last six months I’ve been developing a system so that the variables in training are controlled. Briefly, the two critical elements most trainees are overlooking is finding the correct training frequency to ensure recovery and progress and getting the most intensity from each exercise. Basically, people use a hit and miss approach to both. That explains why so many people don’t really make meaningful progress month after month. In fact, it’s much more common for people to not make progress than it is to make progress. That’s a sad state of affairs. So I am hugely excited to announce that these issues are now solved thanks to the new ENGINEERED STRENGTH GYM. 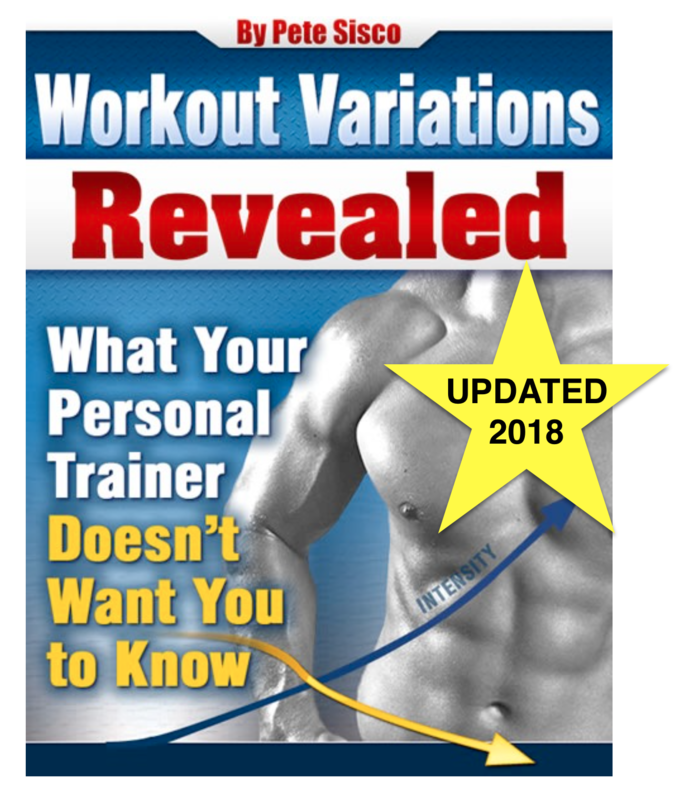 Visit this page and take a look at how muscle-building progress can now be guaranteed thanks to unprecedented analysis, granularity and specificity of the important variables that have, until now, been pretty much invisible to all trainees. how is this different than that precisiontrainer.com website you used to have ? The last system we had was 10 years ago and was the best we could do back then. I wasn’t happy with it and shut it down. It used averages of all trainees to try to estimate what people needed to do. That’s not ideal. ENGINEERED STRENGTH GYM uses the specific metrics of the individual member. It also, for the first time, quantifies the total load of a workout (which is really complicated because, for example, it does not take twice a long to recover from two sets as it does from one set) and then keeps track of the member’s rate of recovery from that load. It also uses a more exacting method of finding the constantly changing ‘sweet spot’ combination of weight and reps that will deliver maximum intensity per minute. Again, this is on an individual basis and not using averages from others. This also needs to be quantified in a complicated way because, for example, lifting 200 lbs for 8 reps is not equal to lifting 800 lbs for 2 reps – not even close in terms of demand on the body, yet they are equivalent in physics. So, in short, this does much more sophisticated calculations and they are all specific to the individual member. Try it for a month and if you don’t like it you can get a refund. Hi Pete, I LOVE this new system and the data you can use. It truly is a game changer. I must admit, I do a lot of it myself (data collection), but to have the numbers crunched so intelligently is fantastic. I have to admit though at nearly 50 bucks a month (When by your system I might only train 2-3 in a month) I literally can not afford such an extravagance! I thought maybe you’d put this formula into a one-off iPhone APP or maybe had access to an online calculator, you know, something I could afford, but I’m disappointed because there’s no way I can afford this sort of training, this dwarfs even my gym fees! Thanks, Paul. Each member gets my personal attention and that can’t be done for any less. In fact, I could argue the price too low right now. Most people don’t realize how much of their time and energy is wasted doing useless – even harmful – workouts that drain them but don’t yield a benefits. If you value your time – literally – and you value how much energy you have throughout the month then this is a pittance. People pay personal trainers hundreds per month and get saturation workouts that measure nothing and make little or no objective progress. They do the same with the miracle supplement du jour and get nothing back. What I’m offering is, frankly, revolutionary – but my time has to be paid for and I’m offering it as cheaply as I can and I think it’s a stellar bargain for anyone serious about improving his health and fitness. pete I saw where you had mentioned about a certification in the works…Is this a personal trainers certification program? Pete, ’nuff said – if you compare your training cost with the costs of a ‘personal trainer’ there’s no contest – this is absolutely disproportionate value for money. This doesn’t look to me like it is a science anymore. Let me explain myself: you ask us to give you our weight lifted, time, date.. etc. And in return we get plenty of info but without any explanations. You don’t give the mathematical way to calculate them on our own. One could think you just pick the date of the next workout from your instinct (which doesn’t mean it’s wrong). Couldn’t you make a book where you detail everything so people could be grown ups and calculate their workouts on their own or to simply understand them? 1. Actually, you get charts and graphs that show your exact progress or lack of progress. The formulas never change and the results from workout to workout are objective. Plus I work with you personally. That will never be a 99-cent proposition. 2. I tried giving people very simplified formulas years ago and they just didn’t use them. Now I use six different formulas and algorithms that use logarithms and exponents – believe me, 99.9% of people just don’t want to make those calculations after every exercise.